At the most basic level, robbery is the unlawful taking of another person’s property with the intent to permanently or temporarily deprive them of it using force, violence, assault or threat. 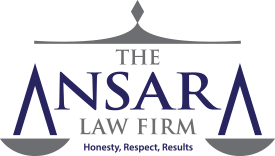 At The Ansara Law Firm, our Fort Lauderdale robbery defense attorneys know there is a tendency to downplay theft-related actions as mere “property crimes” with less severe penalties. Robbery is different because it expressly involves the use of violence or the threat of it. In fact, this is what distinguishes it from other types of theft. Under Florida law, there are many different types of robbery and all are considered quite serious. There are a number of possible defenses a good defense lawyer could raise. If you are arrested in South Florida, recognize that your future hinges on this strategy, so it’s imperative you act quickly and speak to no one until you’ve hired and consulted with your attorney. Robbery is defined by the state in F.S. § 812.13. Understanding how your attorney might formulate a defense means first recognizing the various types of robbery and potential penalties. Robbery in the First-Degree. This is when suspect in the course of committing a robbery uses or carries a firearm or other deadly weapon. Note that “in the course of” can mean while attempting to commit the robbery, or in flight after attempt or commission. Per F.S. § 812.13(2)(a), this is a first-degree felony, punishable by a maximum term of life in prison. Robbery in the Second-Degree. This is when alleged robbery offender did not carry a firearm, deadly weapon or any weapon at all. In this case, per F.S. § 812(2)(c), the crime of robbery is deemed a second-degree felony punishable by up to 15 years in prison, 15 years of probation and a maximum $10,000 fine. Victim offered any resistance to offender OR there was physical injury to victim. Robbery by sudden snatching can be punished by varying degrees, depending on whether defendant brandished or even simply carried a firearm. If defendant used no firearm or weapon, then it is a third-degree felony, punishable by up to five years in prison, five years of probation and a maximum $5,000 fine. However, if the offender carried a firearm or other deadly weapon, robbery by sudden snatching is a second-degree felony, punishable by up to 15 years in prison, 15 years of probation and a $10,000 fine. Home-Invasion Robbery. This is when defendant enters a residence and commits a robbery therein – or simply enters a residence with the intent to commit a robbery. Per F.S. § 812.135, the crime of home invasion robbery is a first-degree felony regardless of whether a firearm or other deadly weapon was used. That means in either case, the maximum penalty is life in prison. However, conviction of home invasion robbery in which defendant carried a firearm or other deadly weapon could result in life in prison, while conviction of home invasion robbery with no firearm could result in up to 30 years in prison and a $15,000 fine. Carjacking. This is a type of robbery in which defendant takes a motor vehicle from the person or custody of another with the intent to permanently or temporarily deprive that person or vehicle owner of that property. In the course of that taking, defendant must employ force, violence, assault or threat upon victim in order to meet the definition. If in the course of committing a carjacking, defendant carried a firearm or some other deadly weapon, the state considers it a first-degree felony punishable by up to life in prison. However, if no firearm was used, it’s still a first-degree felony, but the maximum penalty is 30 years in prison and a $15,000 fine. An attorney can deploy a number of strategic pretrial and trial defenses to robbery in order to help a defendant avoid a conviction. This would include careful analysis of the investigation and charges to examine whether there was any violation of civil rights in the course of evidence collection, questioning of suspect or other issue that could result in suppression of the state’s key evidence. Granted, these may not be absolute defenses. For example, a person cannot barge into another’s home to reclaim personal property, even if he or she is the rightful owner. However, it could be a factor that might significantly lessen the charge and/or penalty.